For Brady Gill, play is an essential part of life. As such, he has consistently immersed himself in play, both personally and professionally. Brady watched as his friends, who found lucrative careers in medicine, law, and business, began to lose their playful spirit. He saw that many of his friends were unhappy and entirely lost as to how to fix it. That’s when Brady’s mission began, to seriously reintroduce play into the lives of grown-ups. As a Summer Camp Director for kids as well as a co-creator of Camp Grounded: Summer Camp For Adults, he has seen first-hand the impact that play has on people’s ability to learn, gain confidence, build community, and be joyful. Brady has traveled across the country teaching thousands of educators, students, parents and professional the benefits of leading a playful life. Brady Gill is passionate about inspiring people with his insights on the power of play. His expertise comes from his time at summer camp; he’s been at summer camp 25 of his 33 summers. Starting as a summer camp counselor in 2002, Brady enthusiastically came back to camp, every summer, moving up through the ranks. Motivated to bring play back into grown ups lives, Brady helped create Camp Grounded: Summer Camp for Adults, and continues to be their Camp Director and Director of Play. To date, Camp Grounded has hosted over 2,000 grown up campers not to mention a tidal wave of inspiration and transformation through play! Before opening up Camp Grounded, Brady worked as a recess consultant, traveling the country teaching schools how to promote safe and healthy recesses. He also completed the MFA program at ART/MXAT Institute for Advanced Theater Training at Harvard University at the age of 20—the youngest in history for the program. Whether it’s your fraternity or sorority, student government, or a class project, you can be sure that you’ll be leading a group in some way while in college. As a leader, you might ask your team to think outside the box, but how can that work if your leadership style isn’t supporting collaboration and innovation? 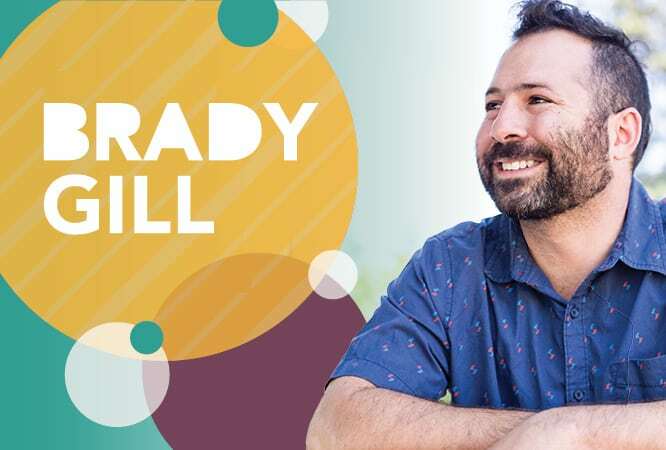 Brady Gill brings over a decade of experience in creating community and leading groups to his audiences. In this interactive keynote, students will explore the three necessary ingredients for a productive team, how to empower people to think creatively, facilitation best practices and how to keep it fun, even when it gets hard. By the end, students will be able to walk away feeling supported and inspired to lead outside the box. three facilitation methods to help make any group conversation inclusive and engaging. In a highly competitive collegiate atmosphere, students tend to fill their schedules with classes, organizations, leadership positions, work, and volunteer opportunities. Too often, their only off time is spent participating in behaviors without a positive impact or even a potentially harmful impact, such as excessive drinking to “let loose.” In this keynote, Brady Gill gives new meaning to the value of incorporating play into life. Through hands-on demonstrations and experiences, students will explore the physical and emotional benefits of play. Brady helps students learn how they can make play a priority in group projects, planning events for their organization, and recharging throughout their day to improve their overall wellness and experience in college. Students learn about how living playfully has the power to reduce stress, increase productivity in studies, and create opportunities for connection and friendship with peers. how to more effectively foster strong bonds with others. The job market has changed; just having a degree isn’t enough to find the job of your dreams anymore. It takes innovative thought and courageous action to create your future and find success. In this keynote, Brady Gill explores how being playful in our outlook and actions, enhances our ability to think outside of the box and be more active players in our lives. Drawing from his own untraditional and playful path, Brady illuminates to students that play is useful for all. He rocks the foundation of traditional success by sharing his insights on what makes a meaningful, happy life. Brady shows audience members that being on the cutting edge in any field means embracing play because it inspires us into becoming our most courageous and curious selves which are essential for real innovation. Students will leave empowered and ready to take on their dreams fearlessly. an increased ability to vision. It’s pretty uncommon these days for anyone to encourage mistakes, let alone celebrate them. More often, mistakes are thought of as a negative and something to be avoided. But it isn’t that simple. Mistakes are crucial for your personal growth and avoiding them is the best way to keep you from being your most successful self. If you believed this to be true, what would you do? How would your life change if you saw how mistakes were marvelous? In this keynote, Brady teaches audiences how to celebrate mistakes by reflecting on the lessons they learn from them, how to be open enough to share mistakes with others, and looking at life in a more playful way. Brady believes that if we take ourselves a little less seriously and worry less about perfection, we will lay the groundwork for a more dynamic and less fearful life. actual practices of how to celebrate mistakes in everyday life. 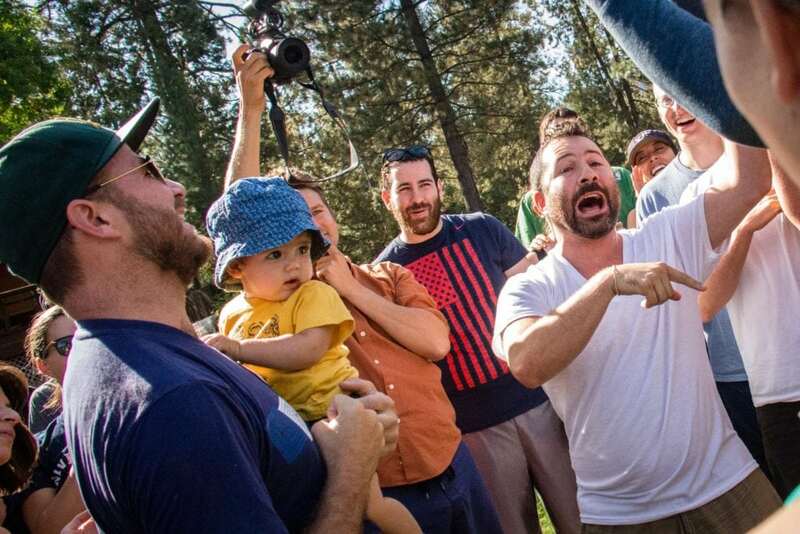 Bringing a group of strangers together and getting them to have fun is no easy task. It can be even harder to encourage bonding, networking, or friendship. That’s where Brady Gill comes in. 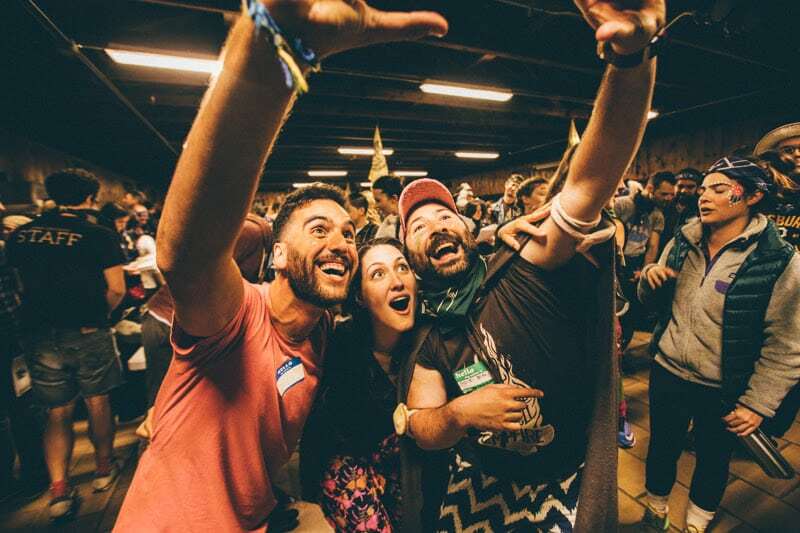 As the director of Camp Grounded, the first ever summer camp for adults, and with over 15 years of large group facilitation experience, Brady is the perfect host to get your community warmed up, excited and connecting, even before your event begins. Invite Brady to kick off any convention or event and experience his unmistakable warmth and dynamism! This option is highly customizable to your program needs. Let us know what you’d like your participants to take away, and Brady will make it happen.